Why you’ll love our online classes? Online classes are perfect for people who find it difficult – or impossible – to attend traditional classes in a fixed location, at a fixed time each week. Maybe you have family commitments, a busy professional schedule, frequent travel arrangements. It could also be that your schedule just doesn’t match the times when academies and traditional language schools are offering their classes. Family and career friendly but without sacrificing on quality. Avoid the stress of competing for a parking space in busy school locations. A fantastic option if you’re a person who prefers to study independently – in your own way and at your own pace – but want to practise your speaking skills and receive clear feedback? Great if you’re studying away but still want classes with someone you recognise and feel comfortable with? Traditionally, when you have higher work volumes, special projects, group work tasks, a family event or social commitment and have fixed weekly classes; you’d have to miss out on your class. Not with my online classes! With my online booking system, you can reschedule your class – for free – up to one hour before the class is due to start. If your plans change – a last minute meeting, a trip away on business, child care difficulties – you can just arrange to have your class on a different day or at a different time. 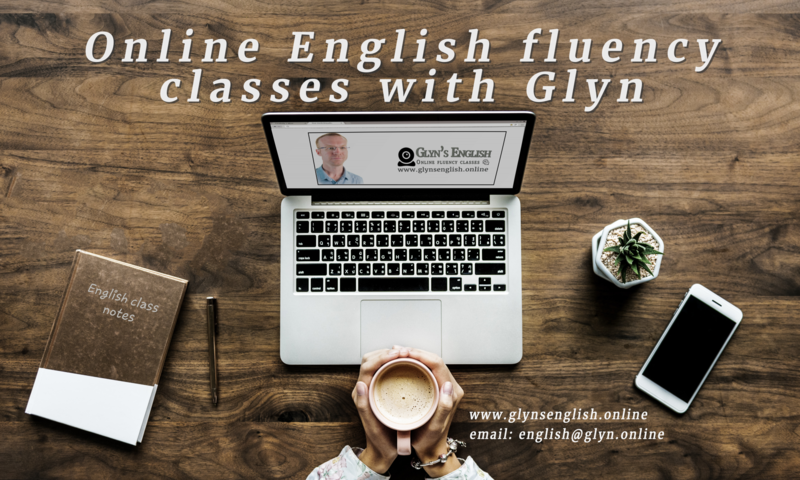 In summary: My current fluency classes are for people with an intermediate or above level of English and who want efficient, flexible and effective development of of their spoken fluency skills while also practising their reading and listening skills too.